The country’s regulator has promised that consumers will receive full and exact information regarding their broadband speeds before signing a contract; should the provider fail to uphold their end of the deal, they have just one month to rectify their performance or the customer can terminate the contract without incurring any penalties. The new legislation comes into action today, 1 March 2019 all across the UK. Head of regulation at price comparison site uSwitch, Richard Neudegg, said: "This should be welcome news for any customers blighted by the frustrations of relentlessly buffering broadband. "This new code also improves the property-specific information about speeds that broadband providers have to give before you sign up. "This is welcome, but providers should go further in opening up this information so that consumers are able to make side-by-side comparisons between providers, so that they can make the best choice." According to the new rules, internet companies will be required to inform their customers of peak and off-peak times and the respective speeds they can expect during those specific hours. Lindsey Fussell, the consumer group director at Ofcom, said: "When you sign a contract, you should be treated fairly and know exactly what you're getting. 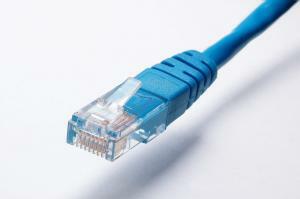 "These protections mean broadband shoppers can buy with confidence. Before they sign up, customers will be told their minimum internet speed. And if companies break that promise, they'll have to sort it out quickly, or let the customer walk away." Ofcom’s drive behind this campaign and legislation is led by the belief that broadband services will be forced to upgrade their networks to full-fibre connections so as to offer their customers the best possible deals. Founder of research institution Assembly, Matthew Howett, stated that the new laws would be “an incentive for broadband providers to move customers on to full-fibre connections, since speeds in the fibre network are easier to guarantee and less susceptible to network congestion".